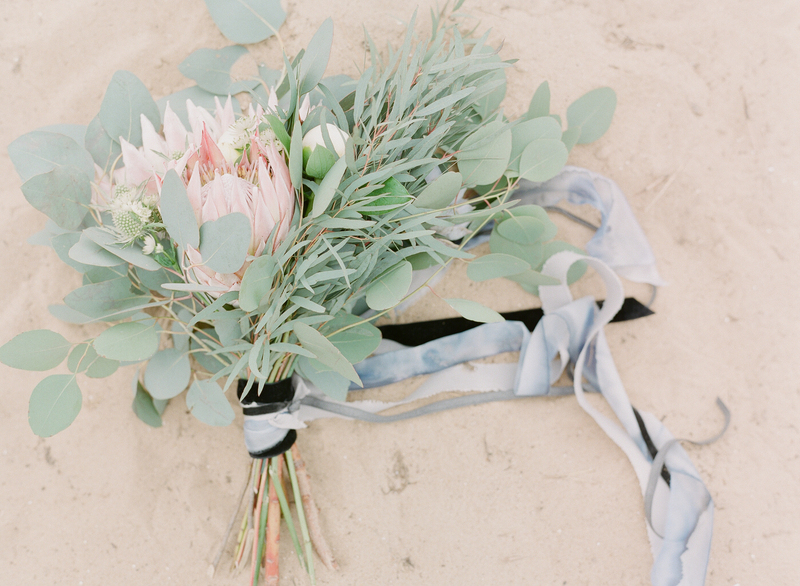 The beach is absolutely my favourite place in the world to be. 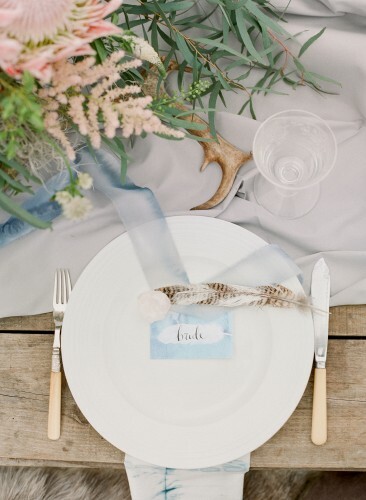 It is so serenely beautiful and calm; the perfect essence to encapsulate in a wedding. 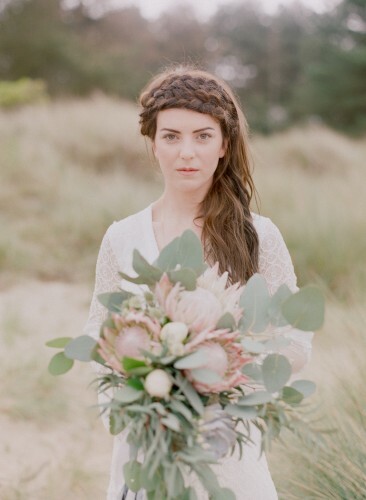 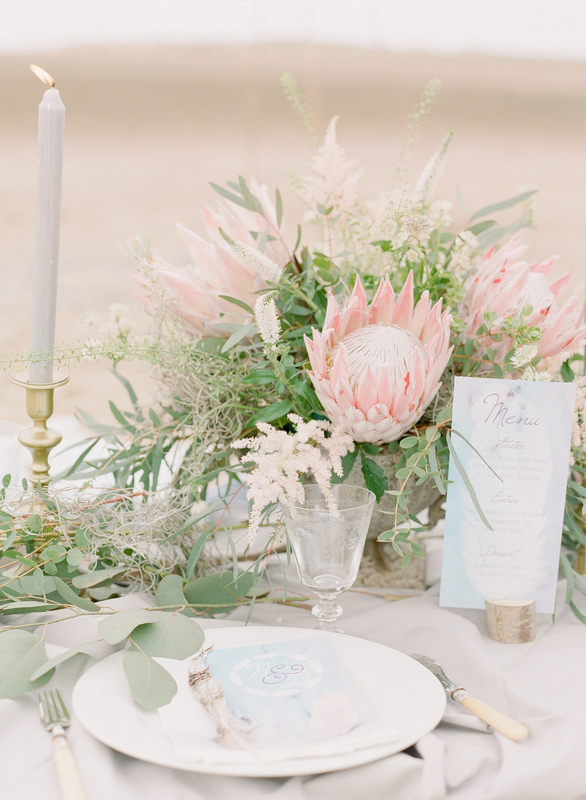 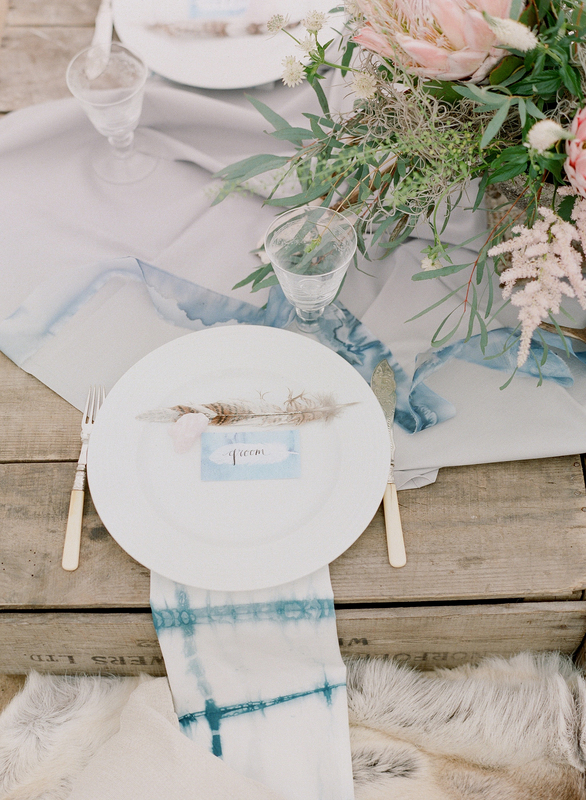 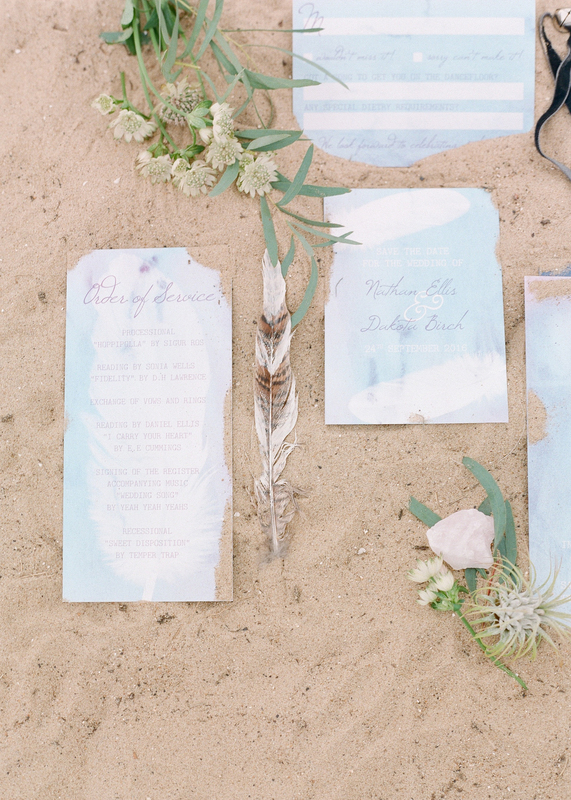 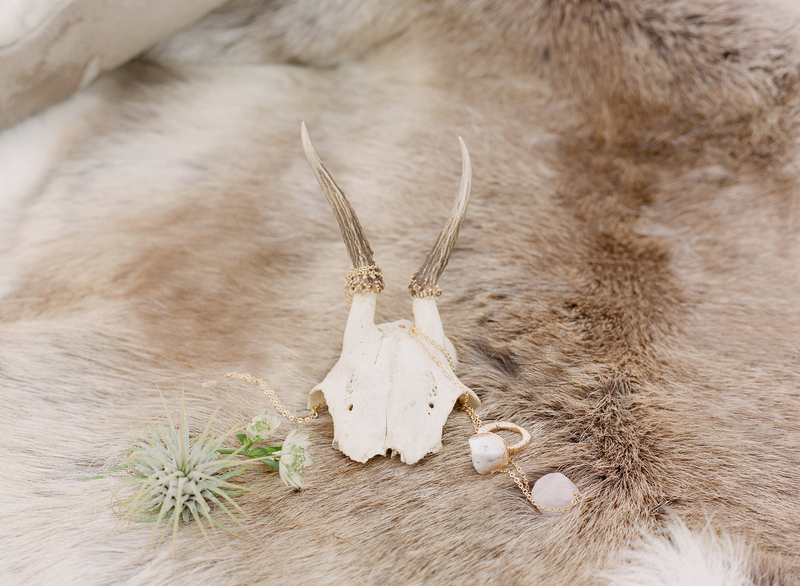 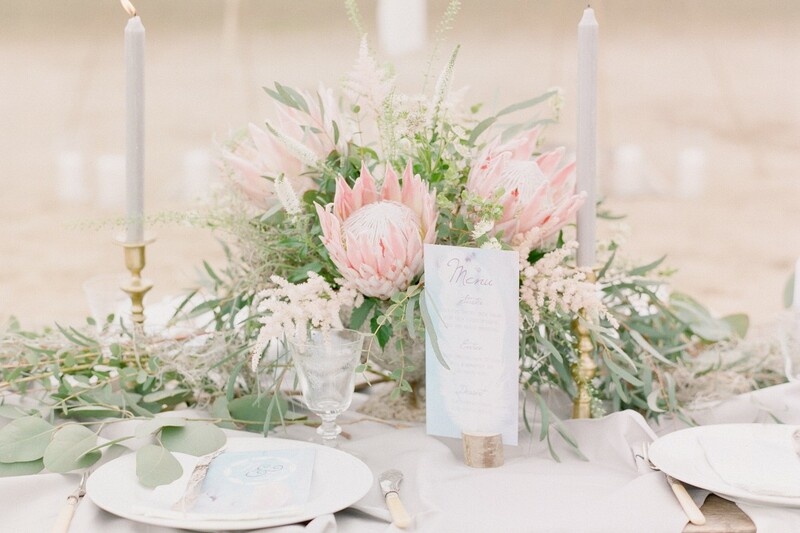 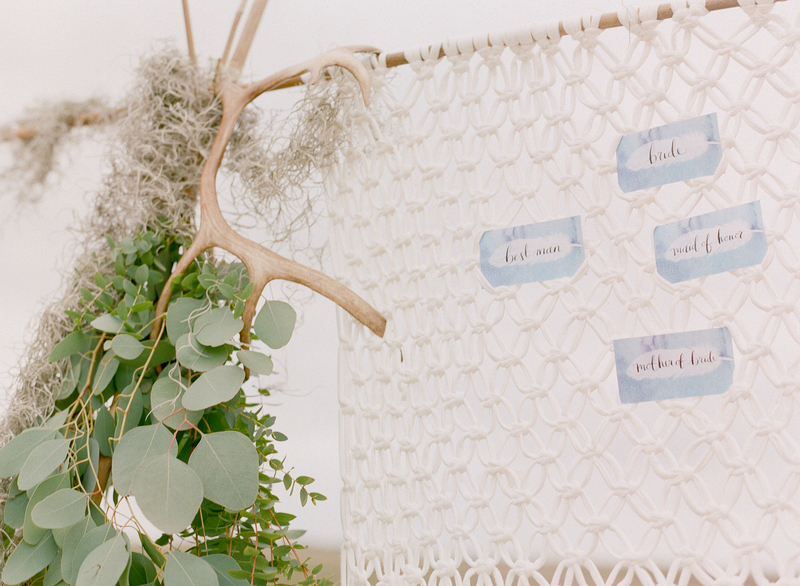 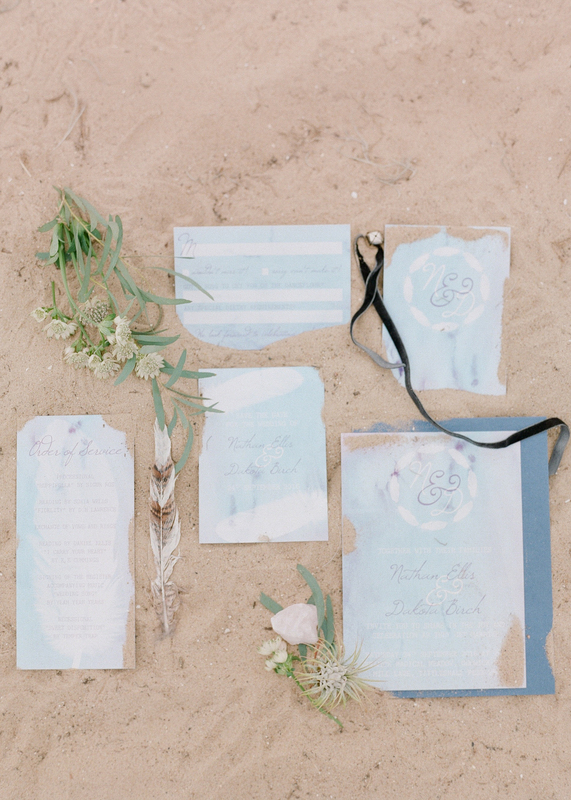 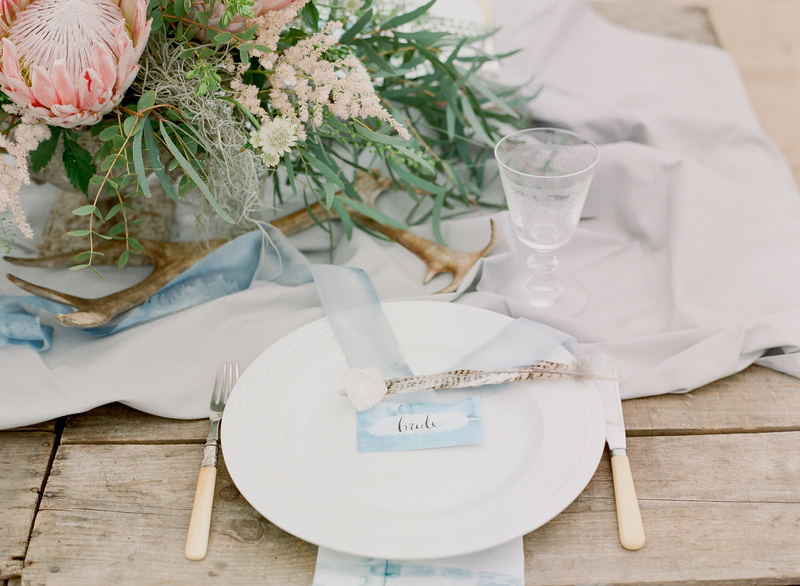 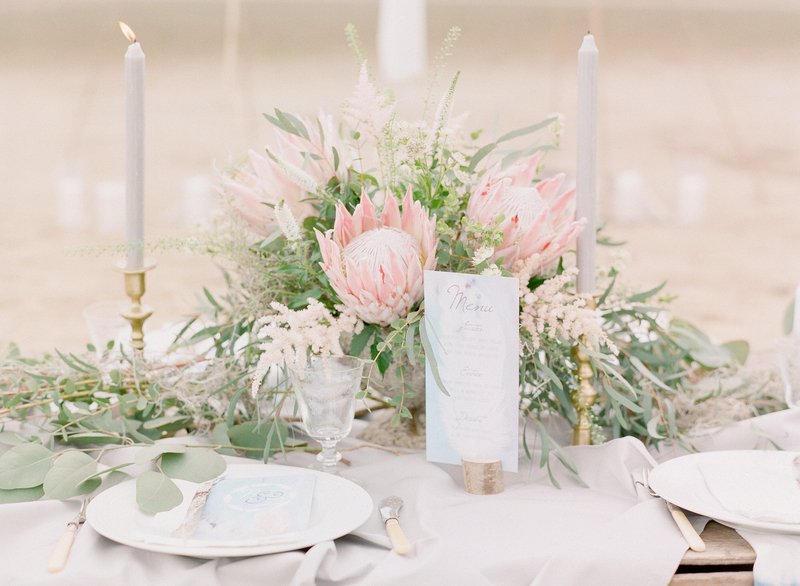 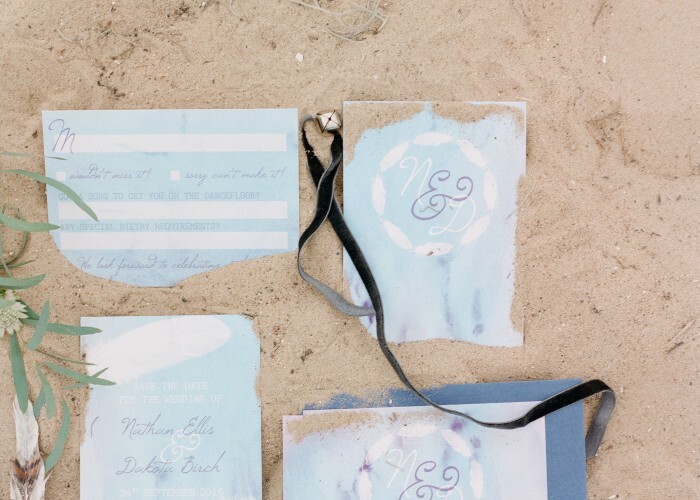 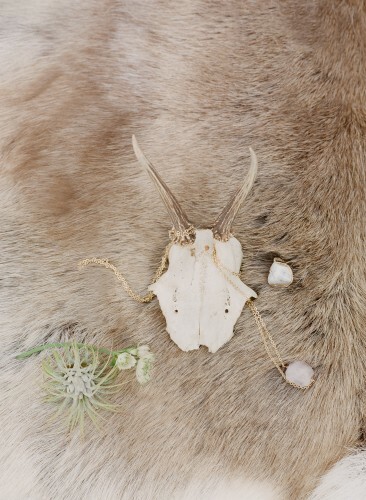 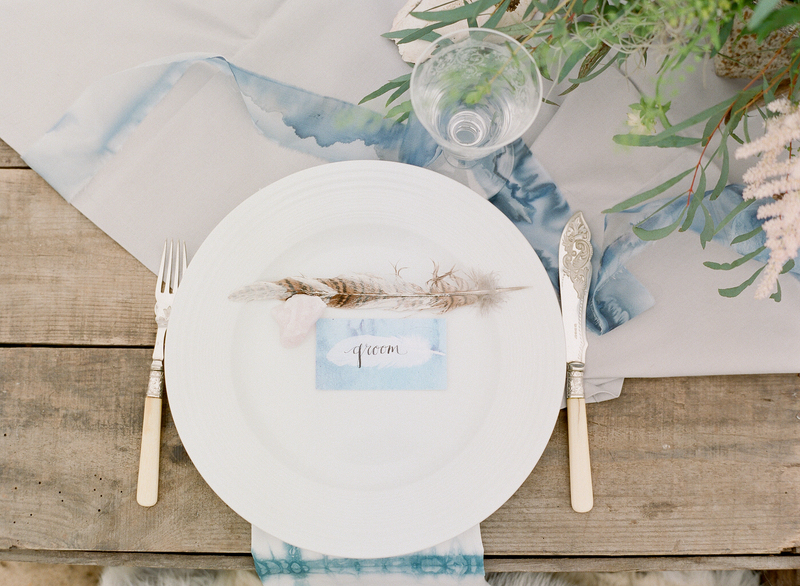 Which is why today’s Nomad styled shoot really appealed to me, beautiful boho beach wedding inspiration. 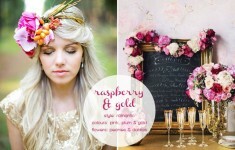 Penny from the Little Lending Company has perfectly captured the epitome of a modern-bohemian look. 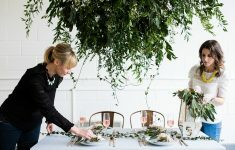 It’s wistful, it’s beautiful and its full of details that you can capture in your own wedding day – whatever your wedding style. 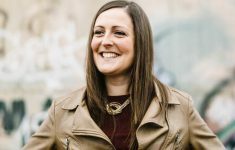 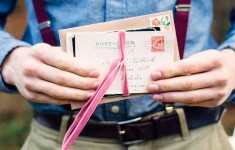 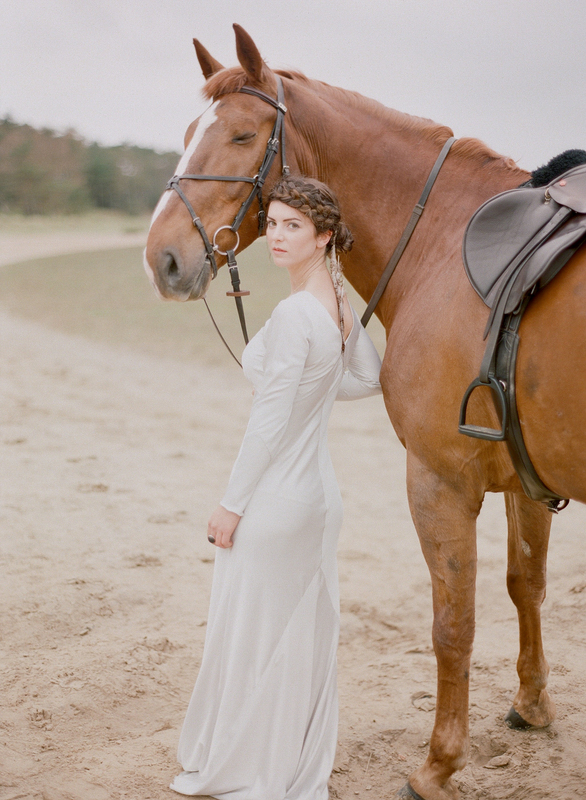 And just how beautiful is Rebecca Lindon’s photography?! 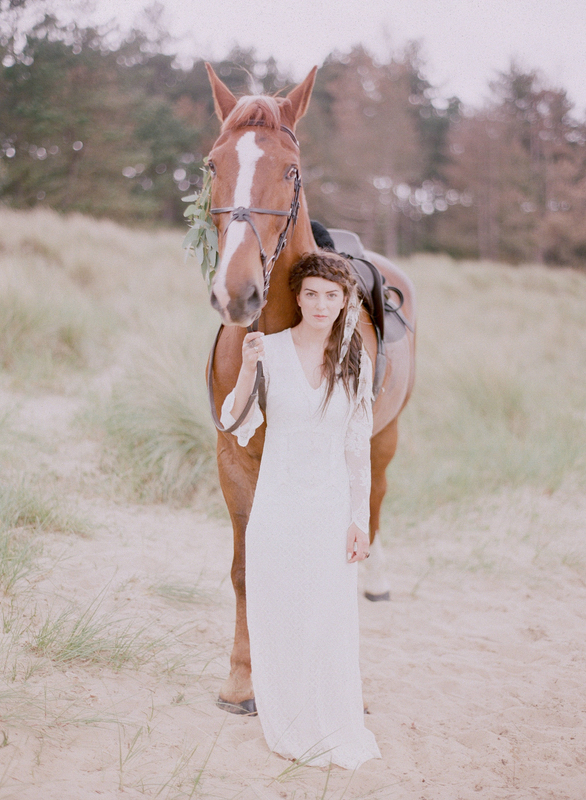 My vision was a nomad costal shoot; a bare foot bride with her horse running free along the shore. 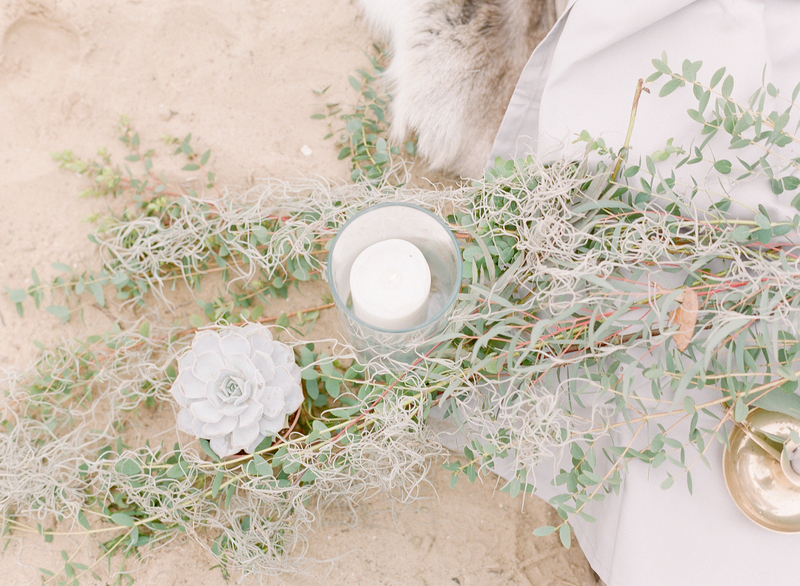 I wanted to create a contemporary beach shoot that looks natural, earthy elements with a strong modern-bohemian bridal look. 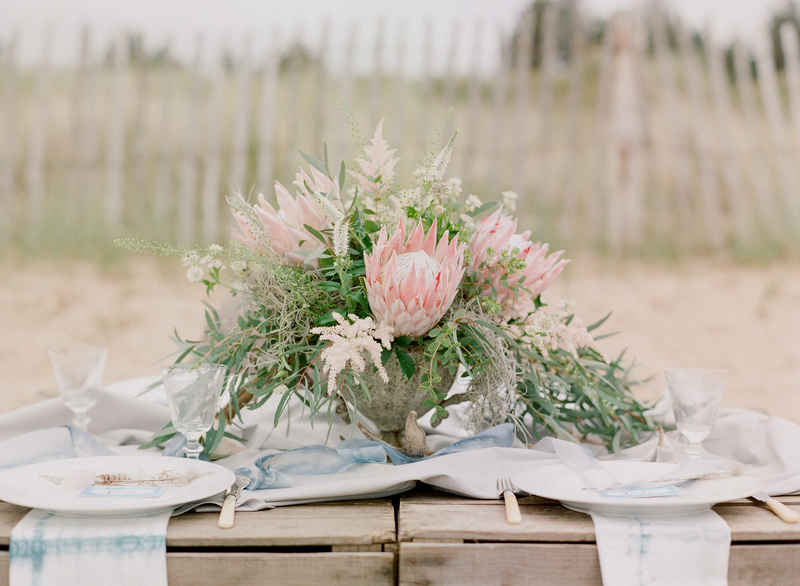 Swaffham Florists mixed luxe Protea flowers, the key flower that was a starting point for the soft pink tones that run through (I’m a little obsessed with them), with mosses, eucalyptus and succulents amongst a table scape of texture from hand dyed silk linens by Kate Cullen, painted feathers and antlers from the range and a little shine from the antique brass candles on upturned crates in the sand. 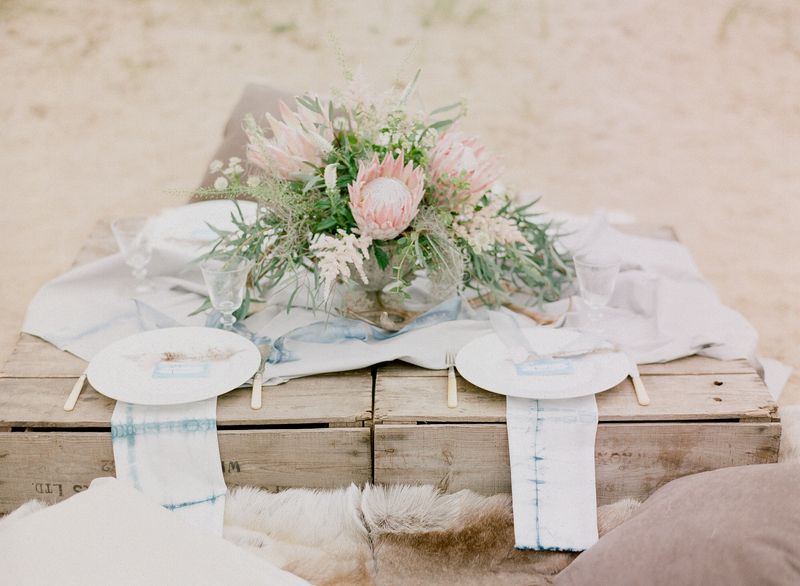 I love the idea of alfresco dining on the ground on throws and hides. 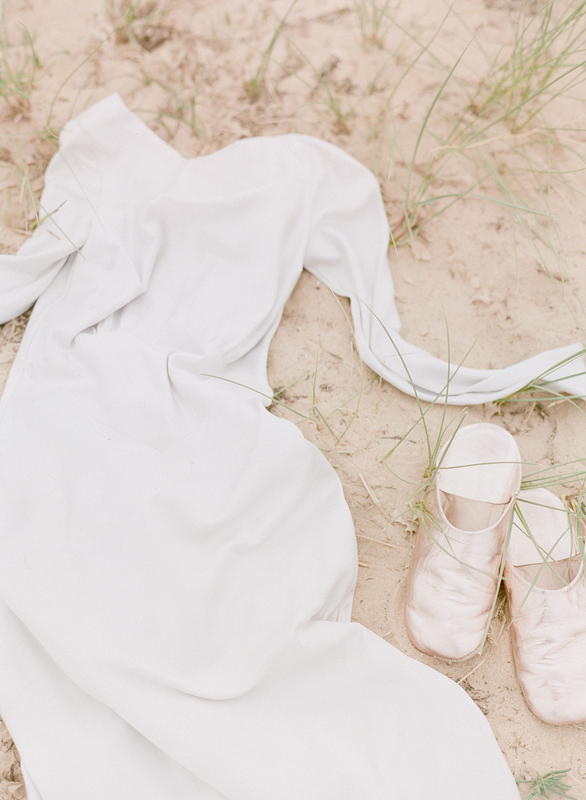 Simple silhouette dresses from H&M and Maids to Measure silk dress in dove grey, less is always more. Windswept tousled hair and beautifully braided hair plaits by Chloe with a soft and easy bridal make-up look by Rejuvenate at the Bull Pen. Bare feet, adorned with rose quartz jewels by Melissa Morgan Designs, was the perfect look for our bride. 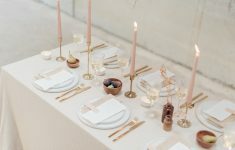 A palette of grey, dyed indigo blue and fawn kept things contemporary and grounded with subtle highlights of pastel rose. 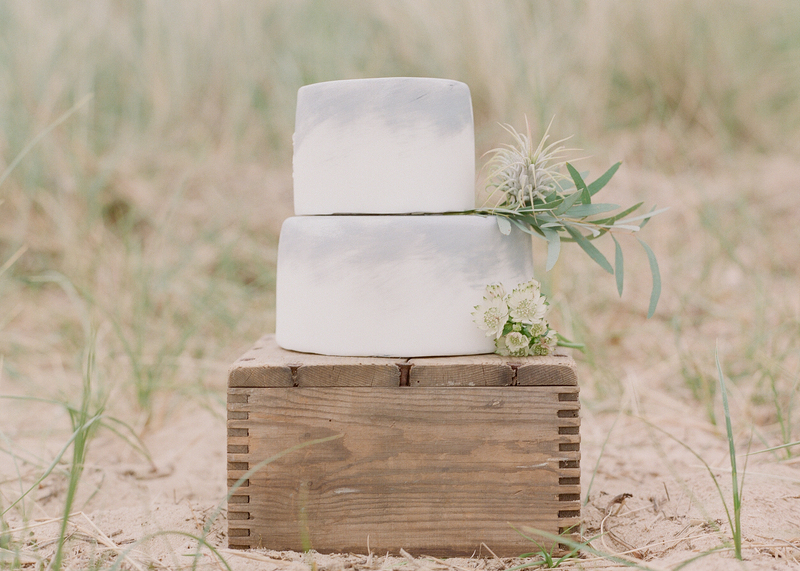 A small stacked ombre grey and white cake from Buns of Fun with fresh foliage was added along with soft brushed stationery designs by Mint & Mustard which finished the set up.